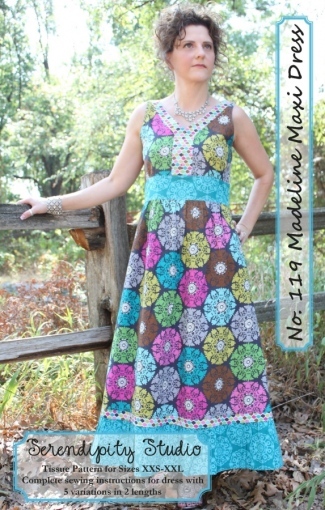 Get in touch with your Bohemian spirit with the Madeline Maxi Dress! 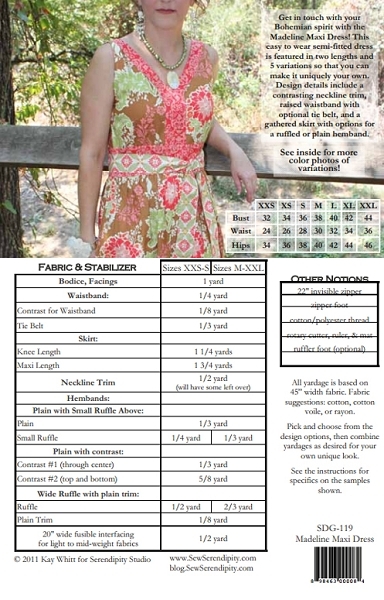 This easy to wear semi-fitted dress is featured in two lengths and 5 variations so that you can make it uniquely your own. 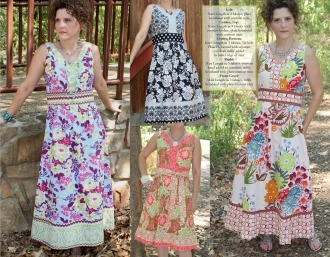 Design details include a contrasting neckline trim, raised waistband with optional tie belt, back zipper closure, two lengths (knee & maxi) and a gathered skirt with options for a ruffled or plain hemband.